Our trip out with Jim Thome of the Minnesota Twins! Some nice bass for some of our 2010 clients! 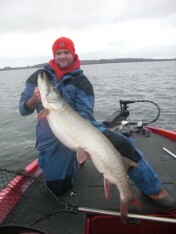 A Lake Waconia giant from one of our Muskie experts, Justin Teske! 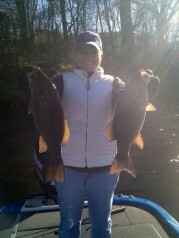 Two giant small mouth caught by Kristyn Goold and guide Jason Holmer, both landed at the same time!